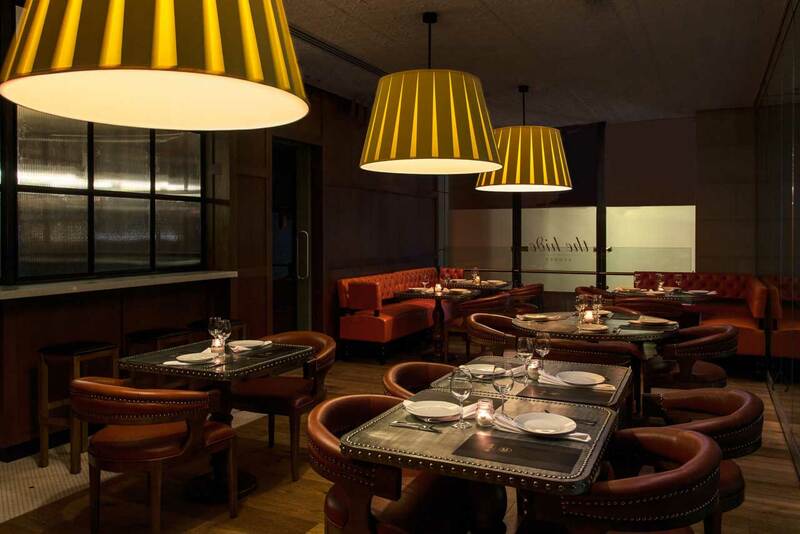 Yellowtrace Spotlight: Australian Design News // March 2014. Yellowtrace Spotlight // March 2014. 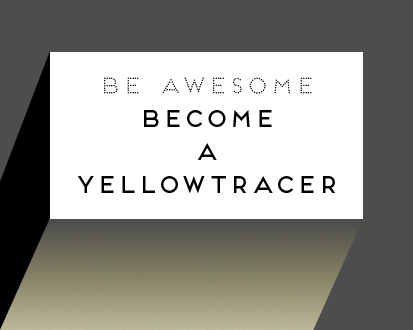 Look out because you’re in for a real treat in this jam packed March edition of Yellowtrace Spotlight, presenting exciting submission, projects as well as some amazing new local products we must bring to your attention. 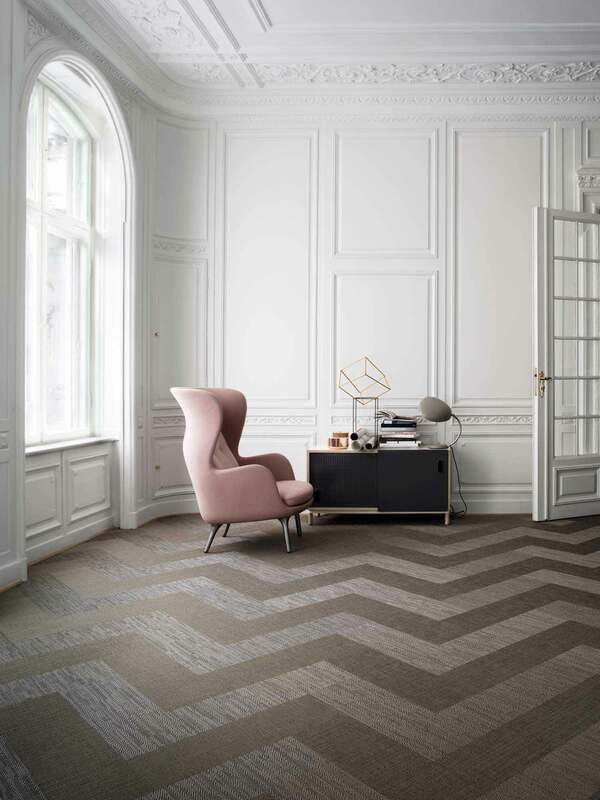 In this month’s design news you can read about Bolon’s new ‘Silence’ flooring collection; Tuki handmade furniture collection by Tide Design; Oblica’s hot new catalogue; Barcelona concept store by Jaime Beriestain; WorldWeave’s latest rug collection; Bull & Bear Sydney Bar & Restaurant by Edge Design; Wire Collection by new Danish brand O&D; Country Road’s new HOME Autumn/ Winter 2014 range; The Art of Dinosaur Designs at Karen Woodbury Gallery; and BAUX modular sound absorbent tiles by Form Us With Love. So much awesomeness to be shared. Happy reading! 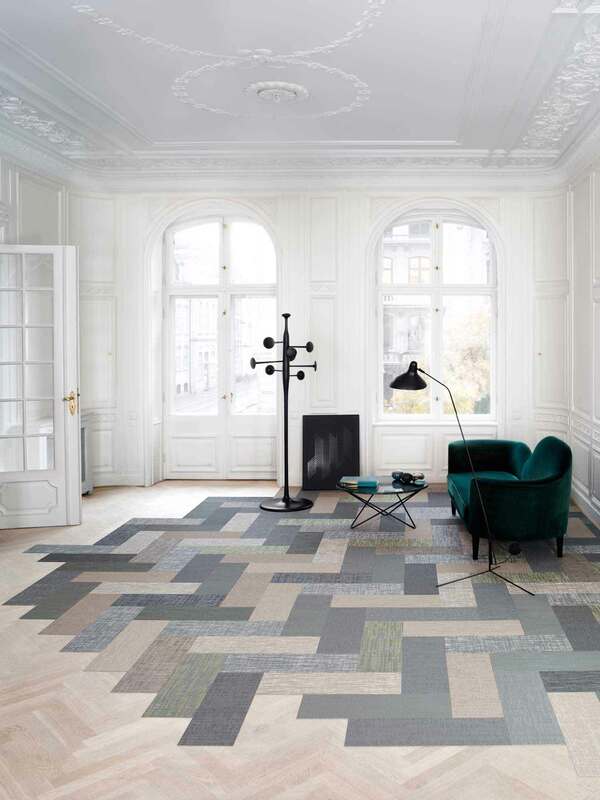 Silence Collection of Woven Vinyl Flooring by Bolon. 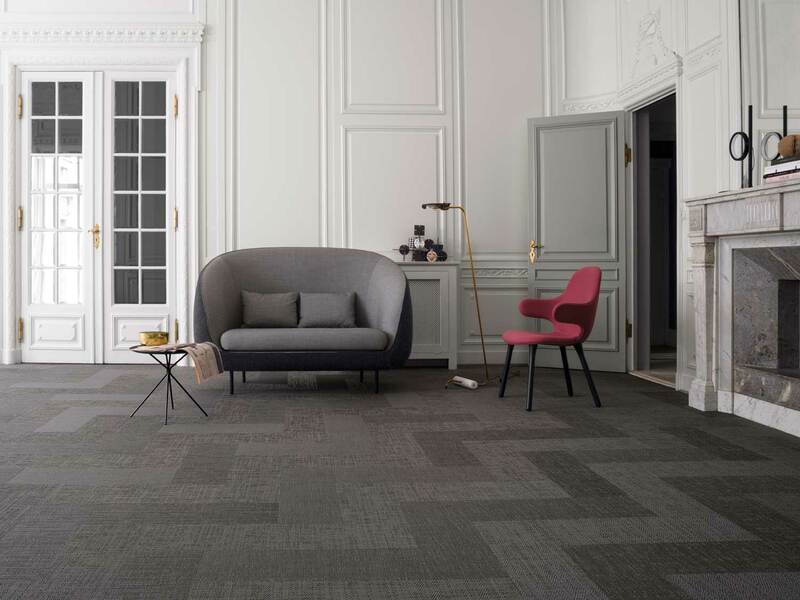 Swedish design company Bolon is proud to announce the launch of their new collection ‘Silence’. With the design team working directly with the machines and processes of the factory floor, ‘Silence’ offers unique characteristics born out of some unexpected and diverse sources. 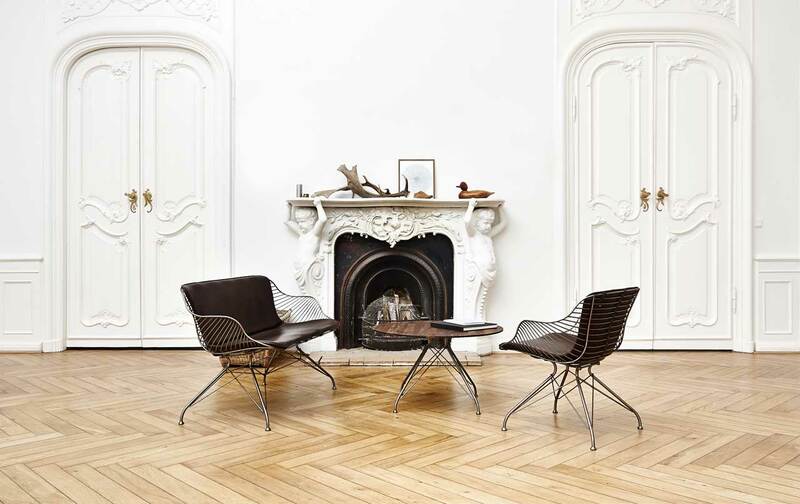 The collection is inspired by the surrounding Swedish nature, historical textiles and classic wooden parquet patterns. Launched during the recent Stockholm Design Week, the installation was created in partnership with Beckmans College of Design. 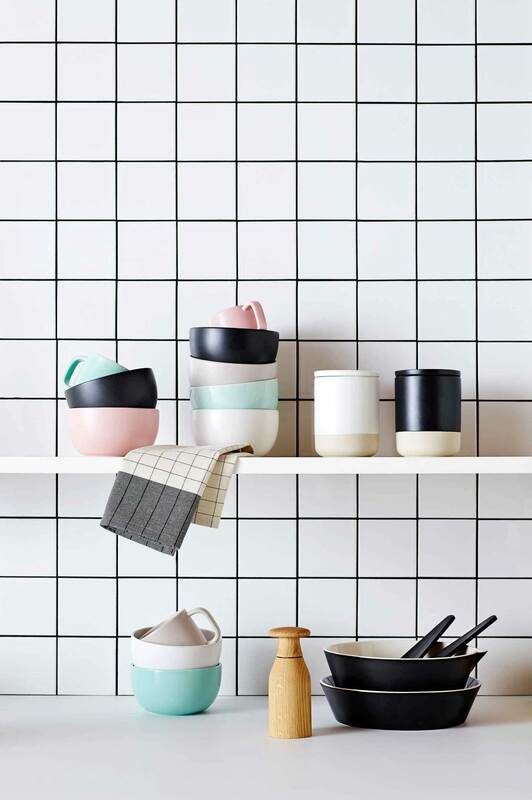 BAUX Träullit Collection by Form Us With Love. 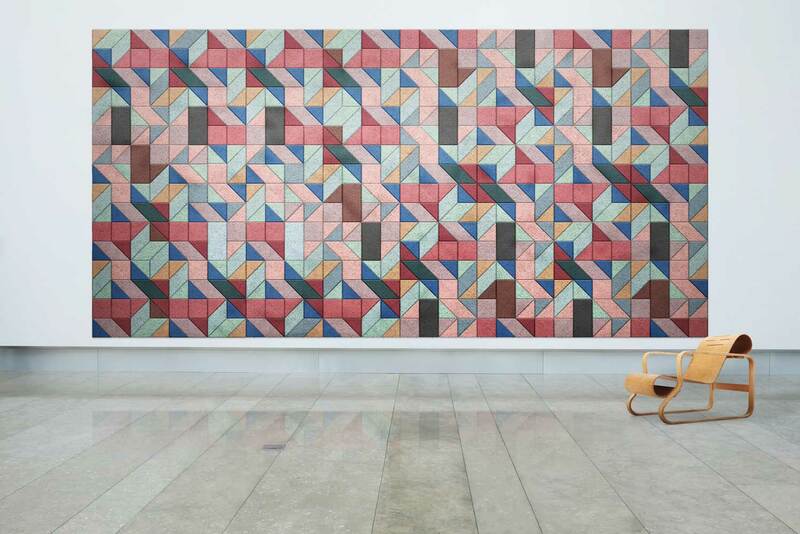 BAUX is a new design brand founded on the belief that building materials should be surprisingly functional and remarkably beautiful. 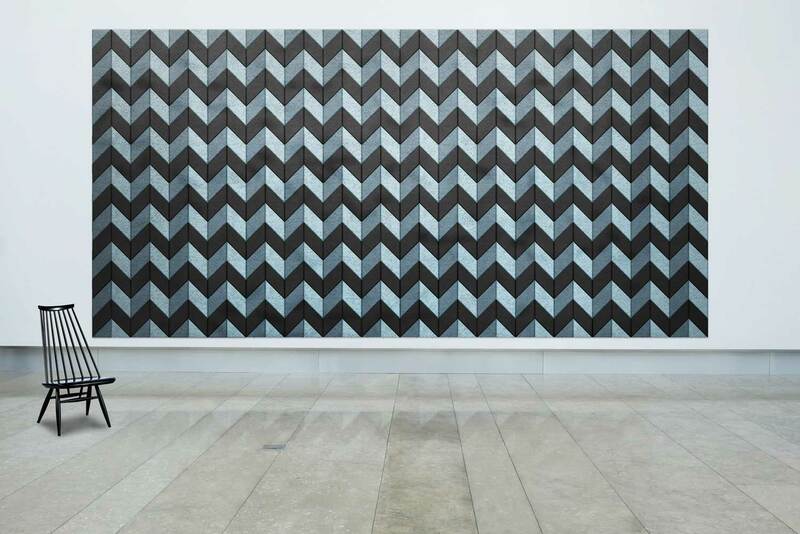 BAUX Träullit is the first collection consisting of sound absorbing wall panels. 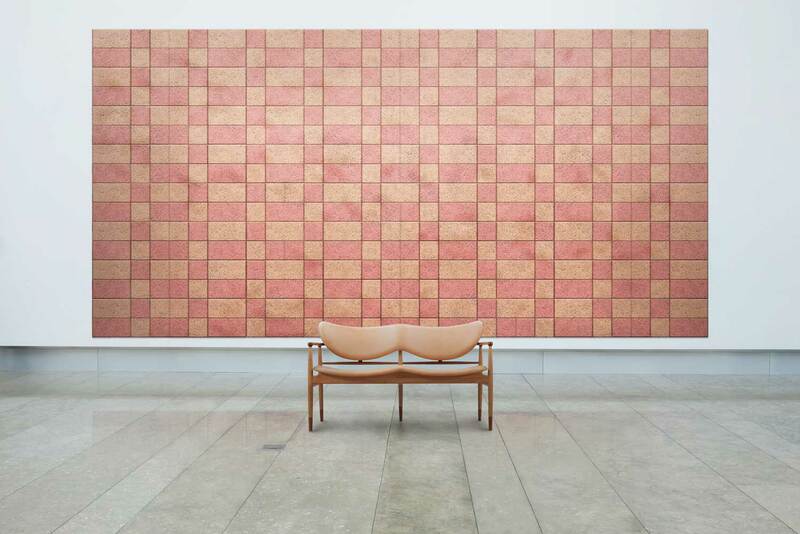 The BAUX Träullit collection of wood wool acoustic panels is a canny combination of form and function. Available in a range of vibrant colours, combines excellent sound absorption with a natural capacity for heat and moisture regulation. 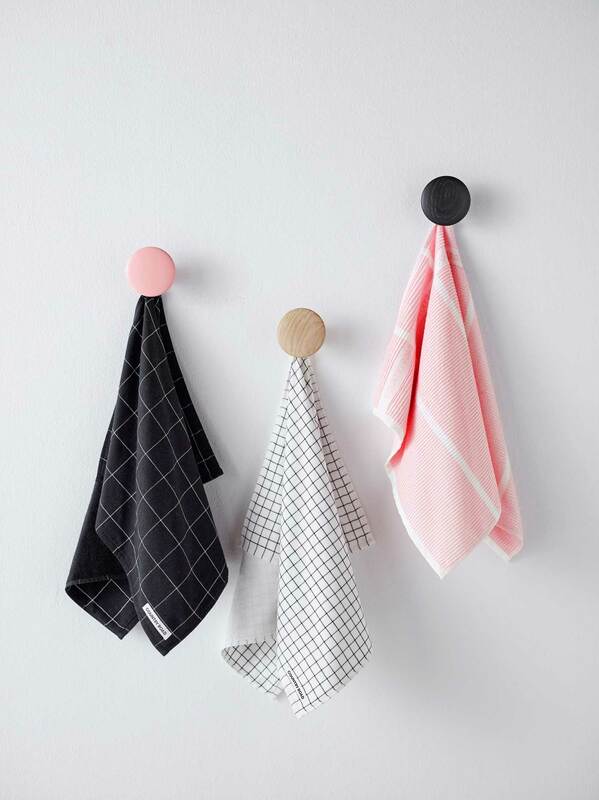 Designed by Swedish Design house based in Stockholm, Form Us With Love, the BAUX Träullit collection features six different geometrical shapes, available in two sizes and five colour sets, offering over 240 creative variations. 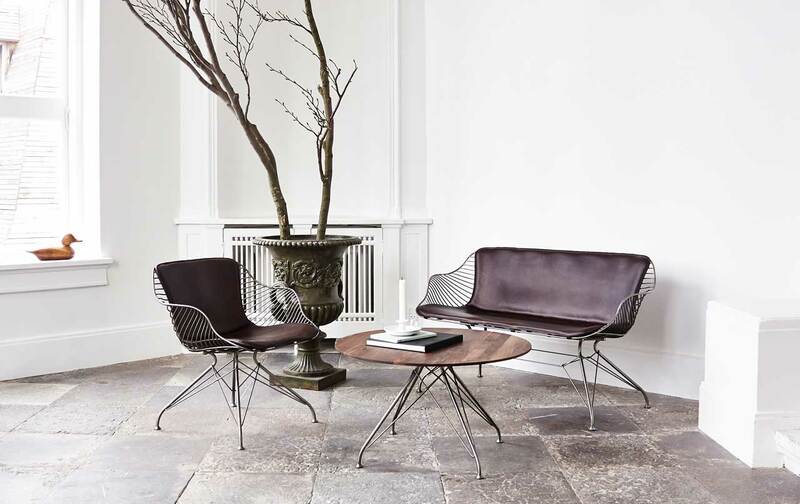 Wire Collection by Overgaard & Dyrman. 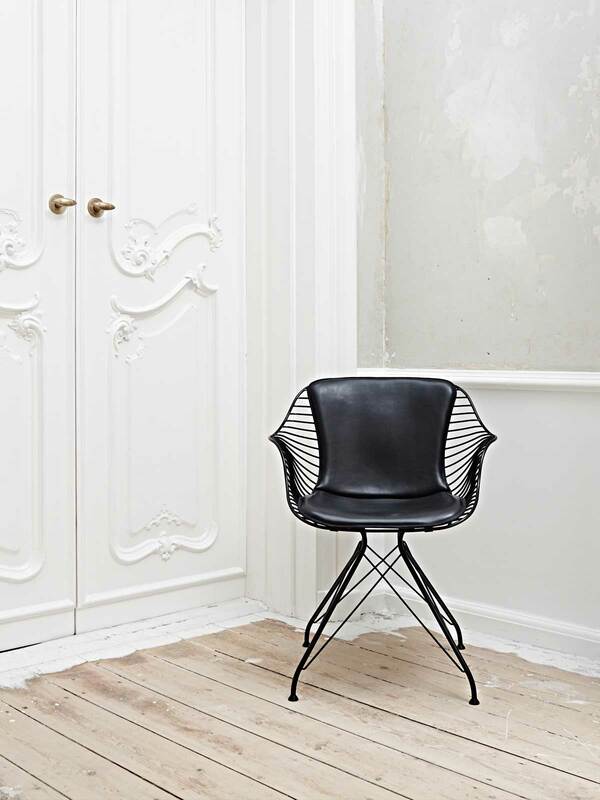 Merging traditional craft techniques with modern technology, Danish design brand O&D has created ‘the wire collection.’ Based on saddlery and metal work, the series includes a dining chair, lounge chair, love chair and a coffee table. Challenging a sense of synergy and contrast in the use of materials, a balance is found between functionality, ergonomics and manufacturing. 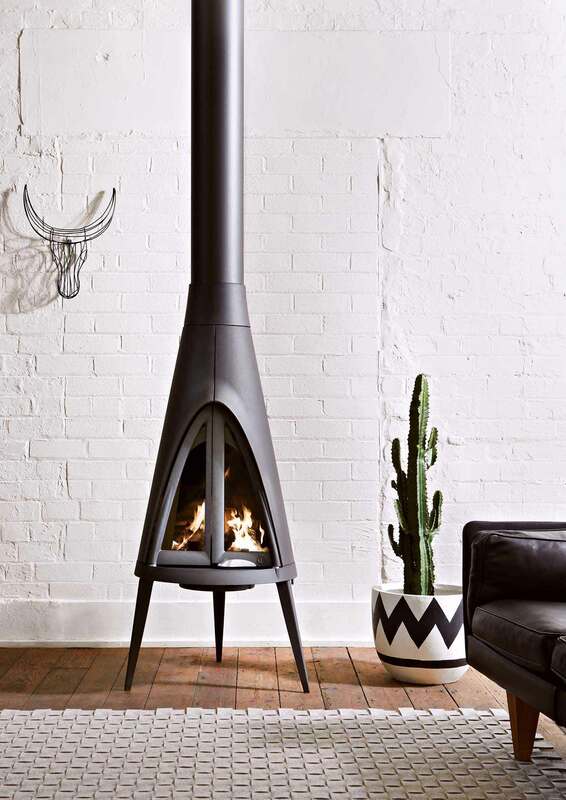 On February 21, Schiavello, one of Australia’s largest designers and manufacturers of commercial furniture, announced an exclusive partnership and collaboration with Techno from Italy, bringing distinctive Italian design to Australia and New Zealand. 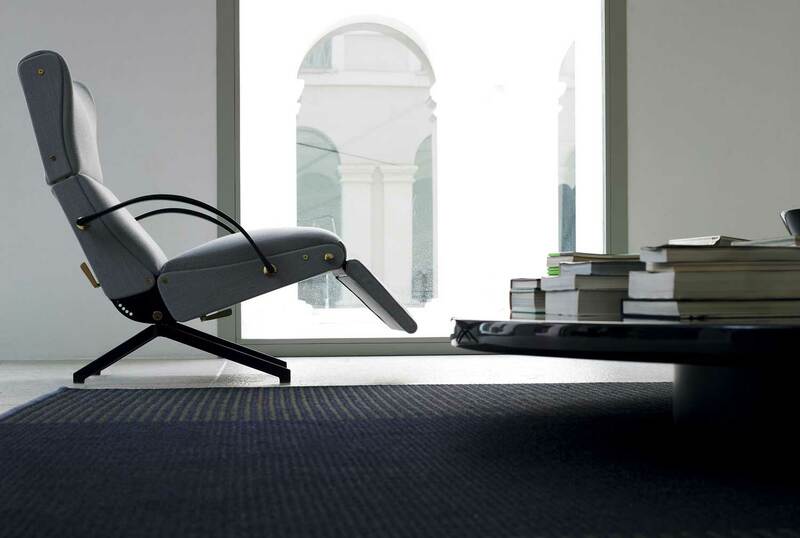 Schiavello’s partnership with Tecno presents the local design community with a unique opportunity to experience this iconic brand, and to access a range of signature products that take executive furniture to a new level. 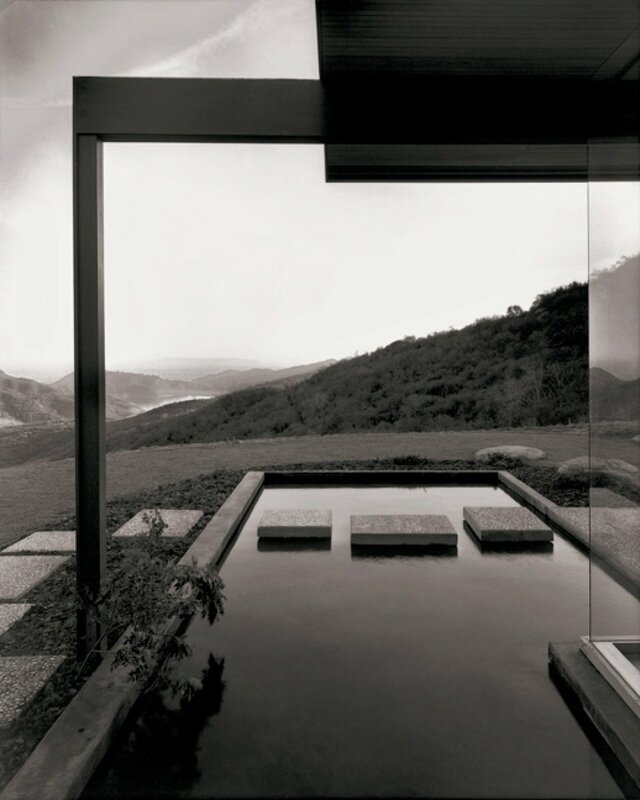 Oblica’s stunning new catalogue. 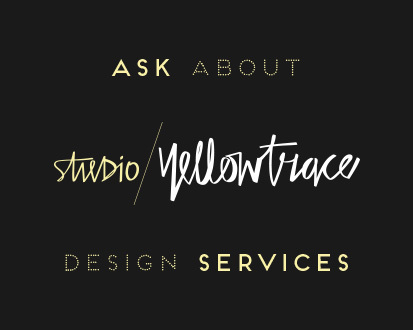 Art Direction and Design: Sense. Photographer: Armelle Habib. Stylists: Jacqui Moore and Julia Green. Oblica’s New Catalogue Photographed by Armelle Habib. 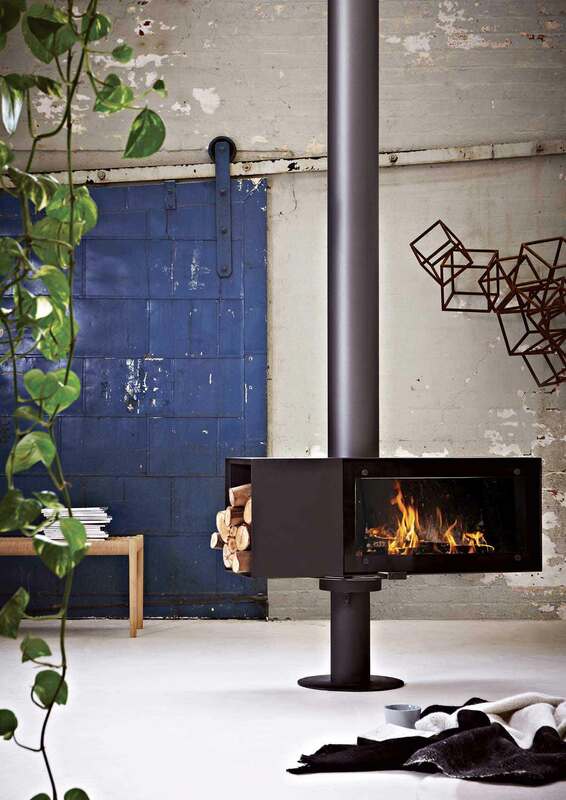 Oblica finds the brands and the designers that create the world’s best fireplaces, stoves, fire pits and accessories. Their showroom is in Argle St in Fitzroy, Melbourne. Oblica’s brand new catalogue is a work of art, designed by Sense, photographed by Armelle Habib and styled by Jacqui Moore and Julia Green. Nice work team. 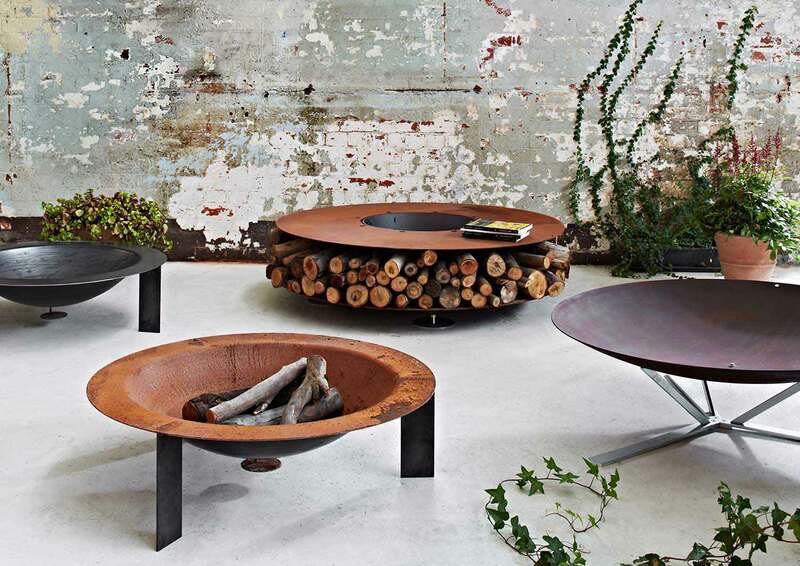 Tuki Collection by Melbourne furniture designer George Harper from Tide Design. Styling by Ruth Welsby. Photography by Mike Baker. Tuki Collection by Tide Design. From his Melbourne workshop, George Harper of Tide Design handcrafts timber furniture with traces of Scandinavian and 1950s design. 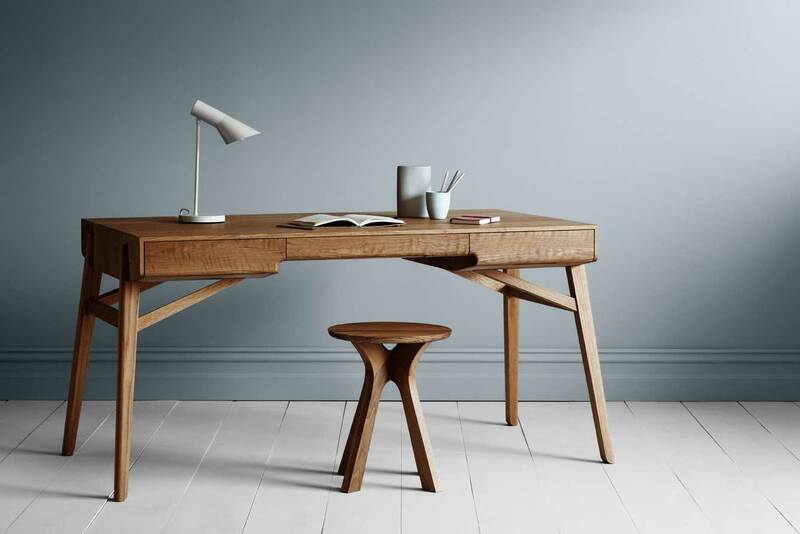 His Tuki collection consists of chairs, dining/ meeting tables, coffee tables, bedside tables, drawers and desk. 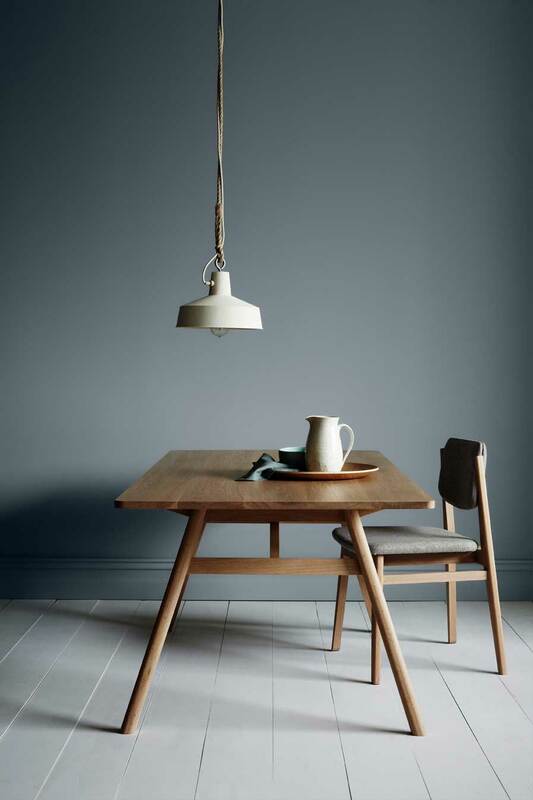 The Tuki dining table plays on the trestle-table-style structure in a more refined manner, and borrows the subtly shaped legs that feature across the range. The sophisticated Tuki desk features three drawers, with the central drawer ideal for small items. 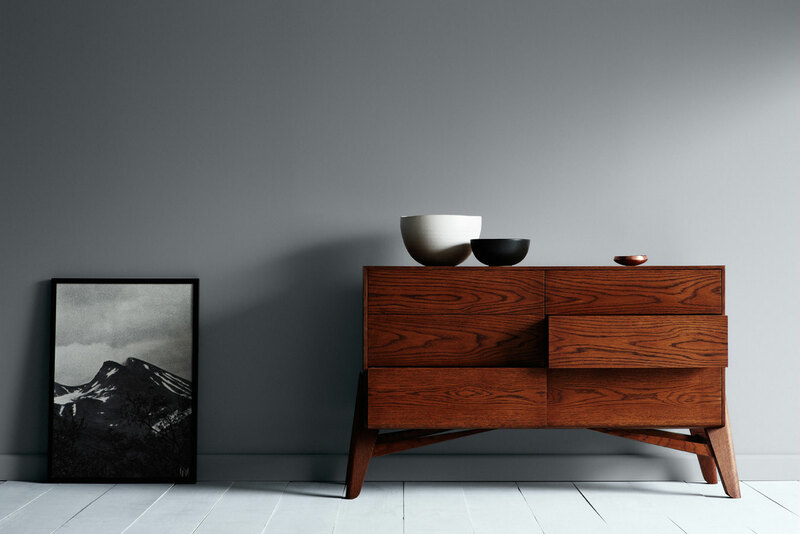 The Tuki Dresser is a new addition to the range and features the subtly shaped leg, clean lines and fine detailing. 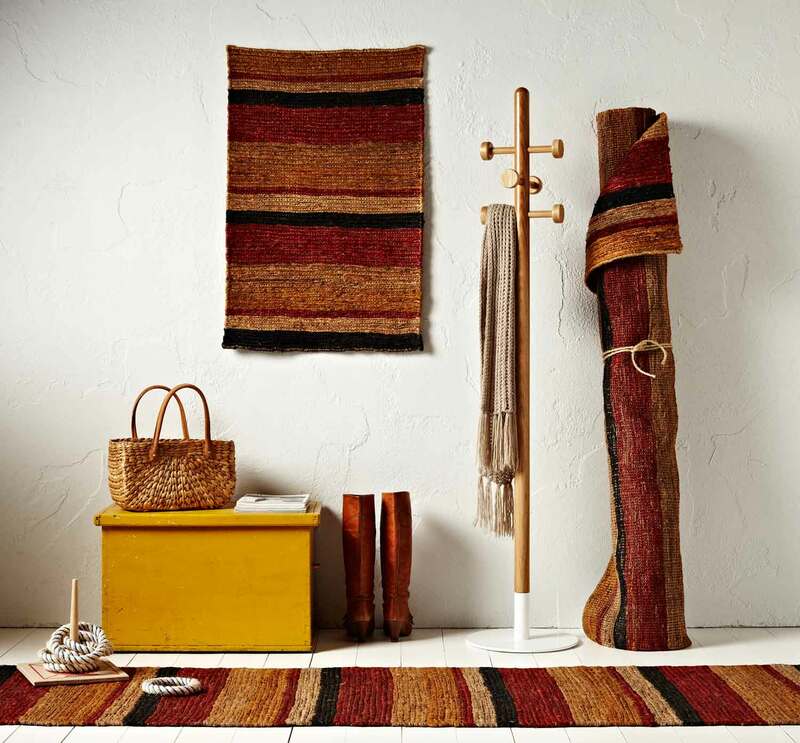 Tunizia Rug from Worldweave Rug Collection by designer Piero Gesualdi. Styling by Ruth Welsby. Photography by Mike Baker. 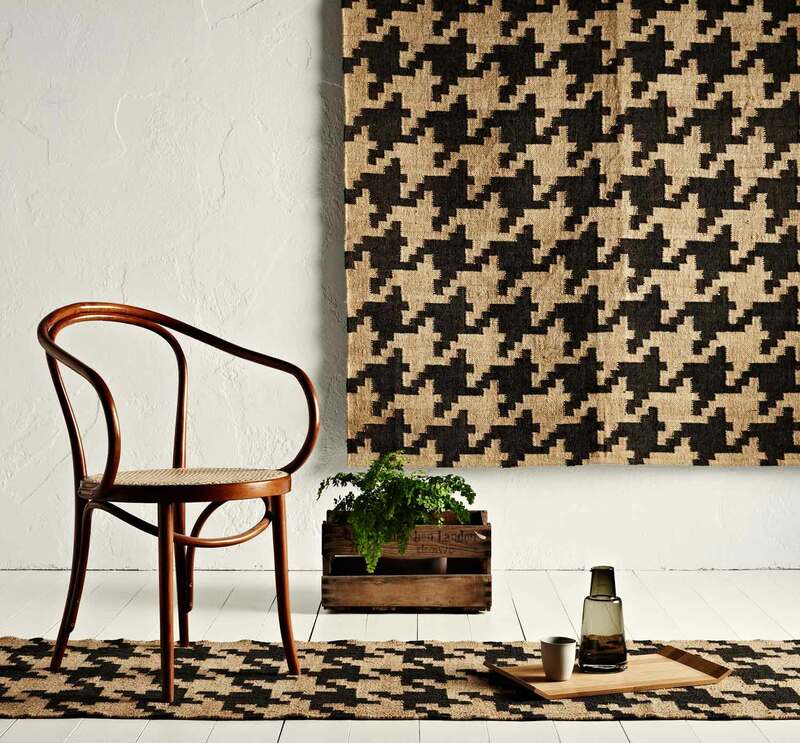 The Houndstooth Rug. Styling by Ruth Welsby. Photography by Mike Baker. The Red Desert Rug. Styling byRuth Welsby. Photography by Mike Baker. 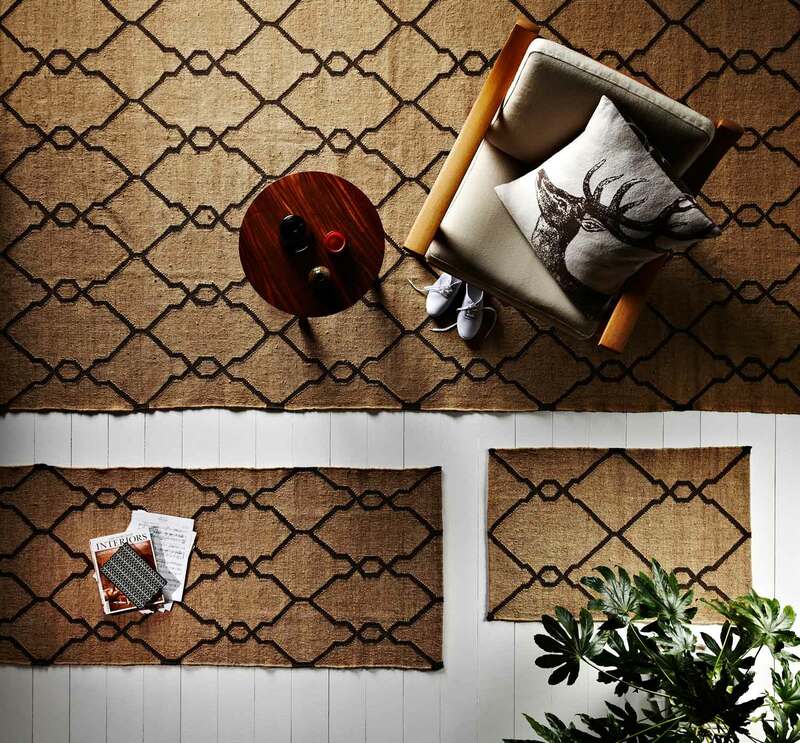 Designed in Melbourne, WorldWeave rugs take inspiration from travel, nature and geometry. Their latest collection demonstrates the beauty found in diversity. With over 40 years in the business, WorldWeave founder and designer Piero Gesualdi’s honed instinct for structure, geometry, colour and texture, provide the elements in building this thoughtful and exciting collection of rugs. Country Road Autumn Winter 2014 HOME Decorator Range. 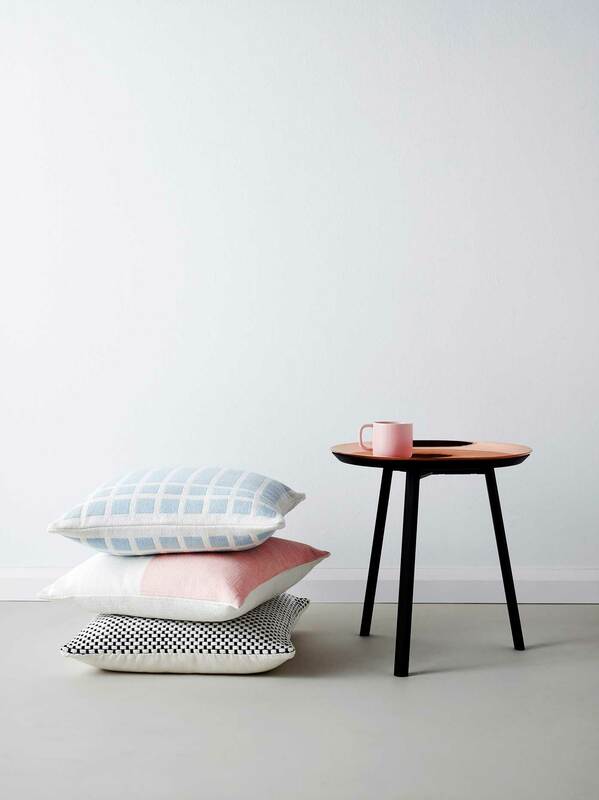 Country Road HOME Autumn Winter 2014 offers a graphic and minimalist collection for a modern update to the home. 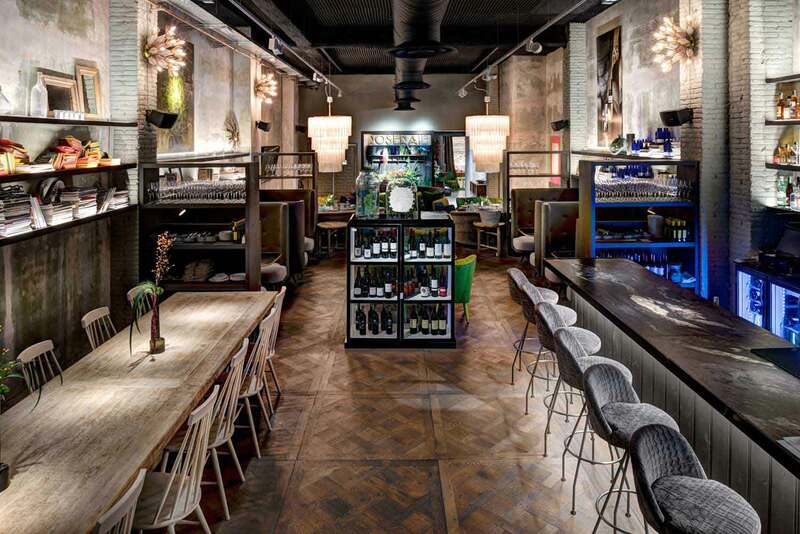 Clean sophisticated meets earthy textures in dining with pieces that play on scale and proportion. The decorator range is modernised with a focus on quality and workmanship. Stoneware and ceramics are sourced form the finest Italian craftsman. Modern window pane checks are seen on fine glassware, styled with timber and ceramics for a play on texture. Cushions and throws are textural and bold in graphic weaves and geo prints in ice blue, citron yellow and contrasting black and white add standout style to any interior. 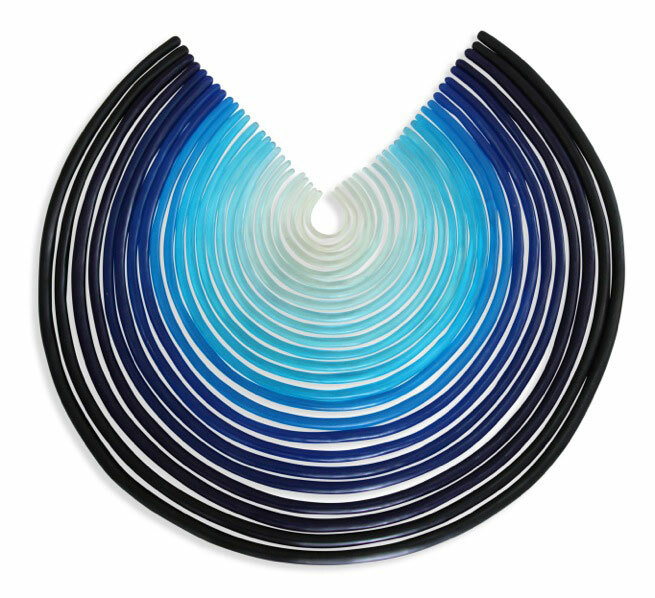 Enlarged sculptural piece “Collar Bone” is being exhibited as part of ‘Olsen Ormandy: The Art of Dinosaur Designs’ at Karen Woodbury Gallery as part of VAMFF. Material used include resin, dimensions consist of height: 580mm and width: 1900mm. Enlarged sculptural piece “Loop” in Dinosaur Designs, material used include resin. Dimensions consist of circumference: 930mm and depth: 25mm. 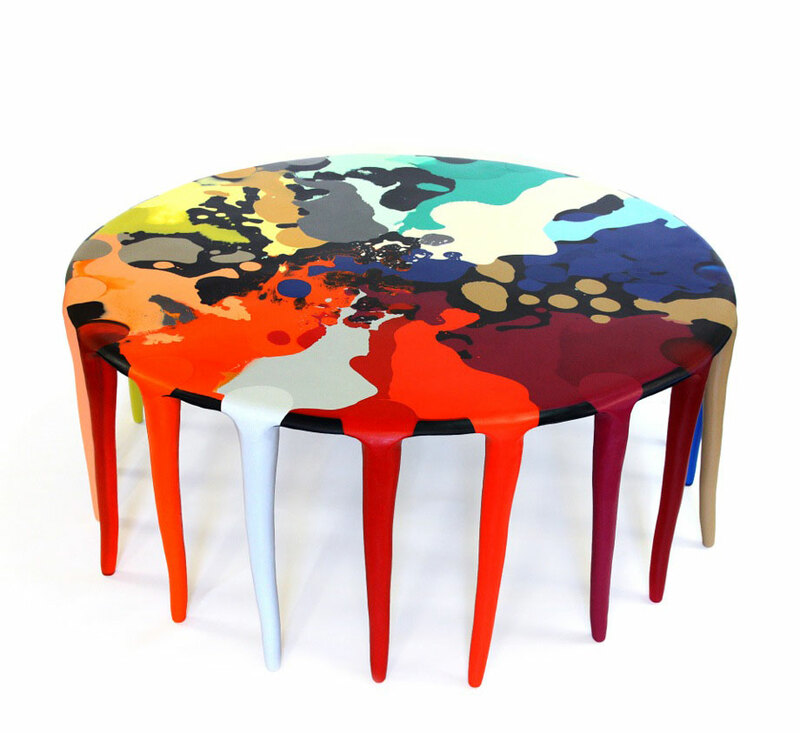 Enlarged sculptural piece “Full Moon Table” in Dinosaur Designs, material used include resin. 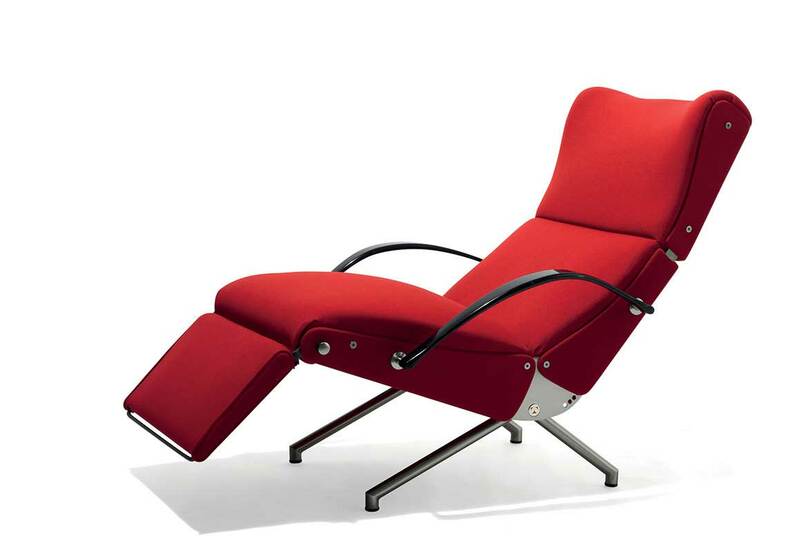 Dimensions consist of 21 legs, height: 480mm and circumference: 1200mm. 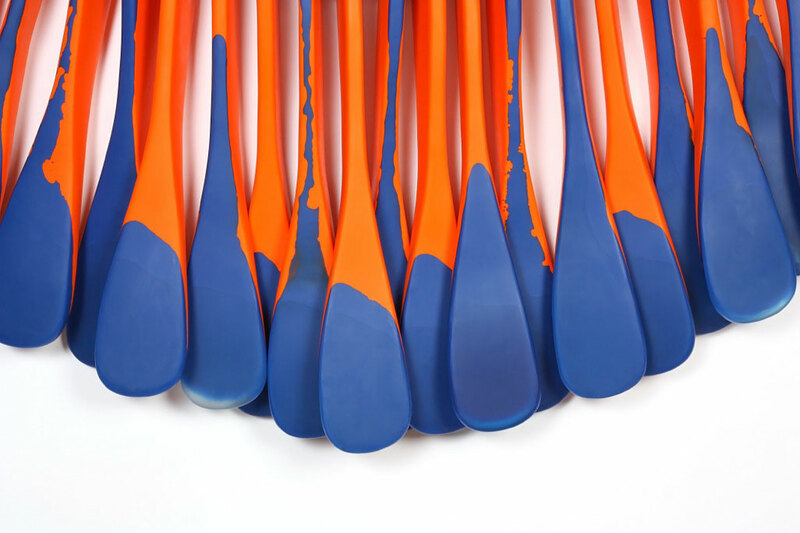 Olsen Ormandy: The Art of Dinosaur Designs at Karen Woodbury Gallery, Melbourne. Louise Olsen and Stephen Ormandy are excited to be exhibiting Olsen Ormandy: The Art of Dinosaur Designs new works for Dinosaur Designs at Karen Woodbury Gallery as part of Virgin Australia’s Melbourne Fashion Festival’s (VAMFF) cultural program. Olsen Ormandy: The Art of Dinosaur Designs is a fusion of art, design and fashion. The exhibition will feature enlarged sculptural pieces which reference Dinosaur Designs ‘wearable collections, reinforcing the textural and artful aesthetic, prevalent in their work and bringing it into the gallery context. 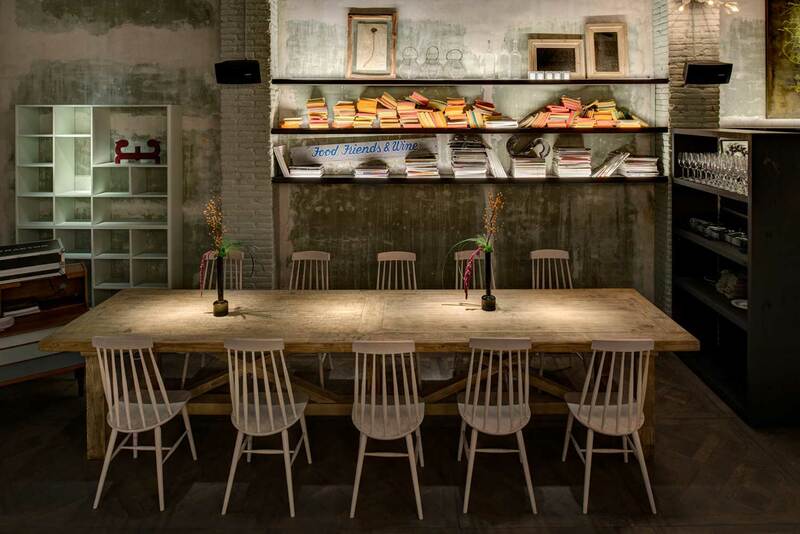 Barcelona Concept Store & Cafe by Jaime Beriestain. 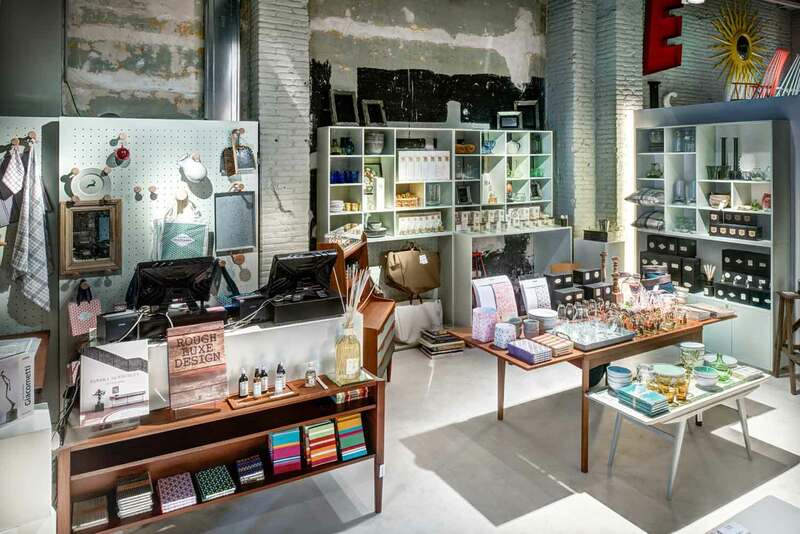 Renowned interior designer Jaime Beriestain opens a new concept store in the centre of Barcelona -a 500sqm space filled with vintage furniture, objects, fresh flowers, a selection of international books, fragrances and more. 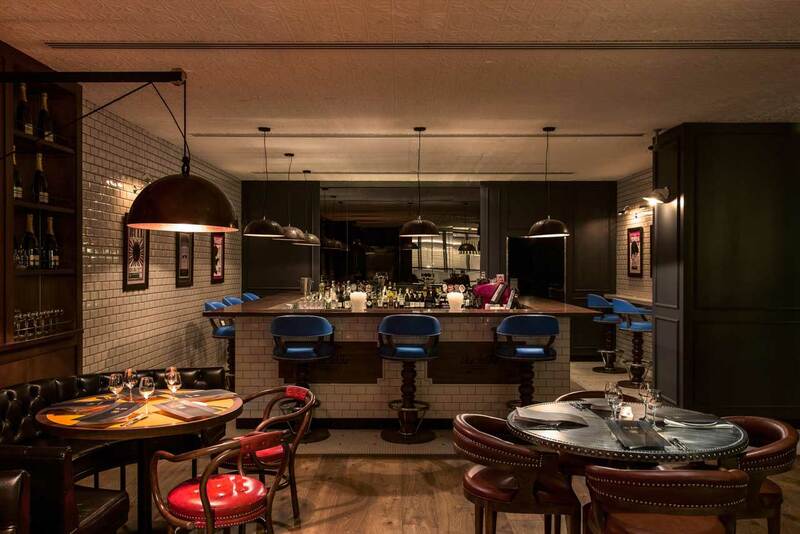 Traditional meals are served in the adjacent restaurant where, alongside the head-chef, Jaime created the menu influenced by native Chilean dishes and meals he usually serves to friends. 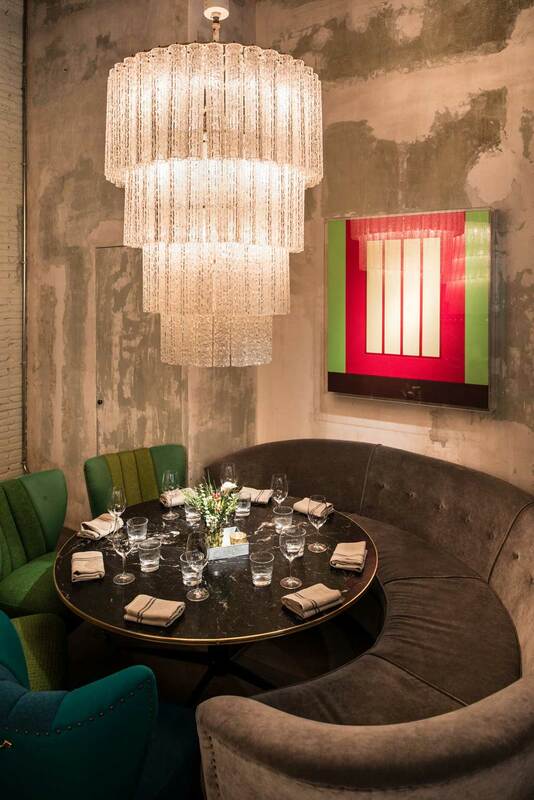 Two large Italian chandeliers from the 60’s dominate this space, while an extensive private art collection adorns on the walls. 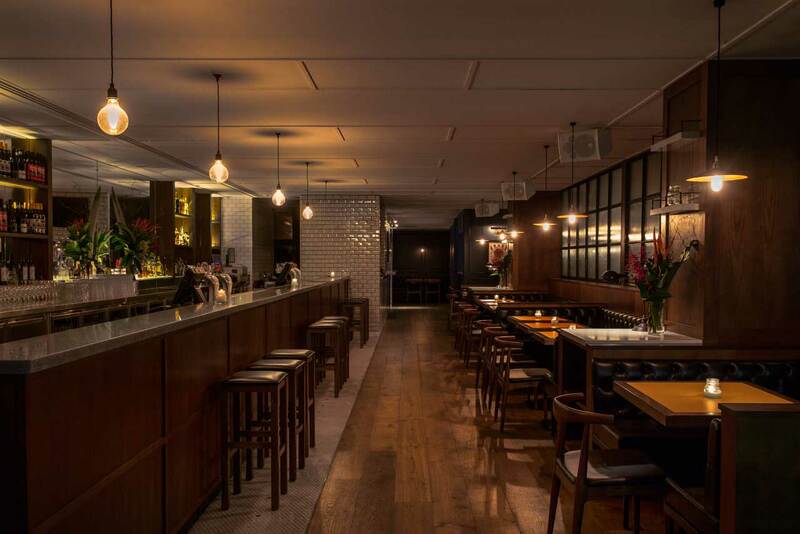 Bull & Bear Sydney Bar & Restaurant by Edge Design. 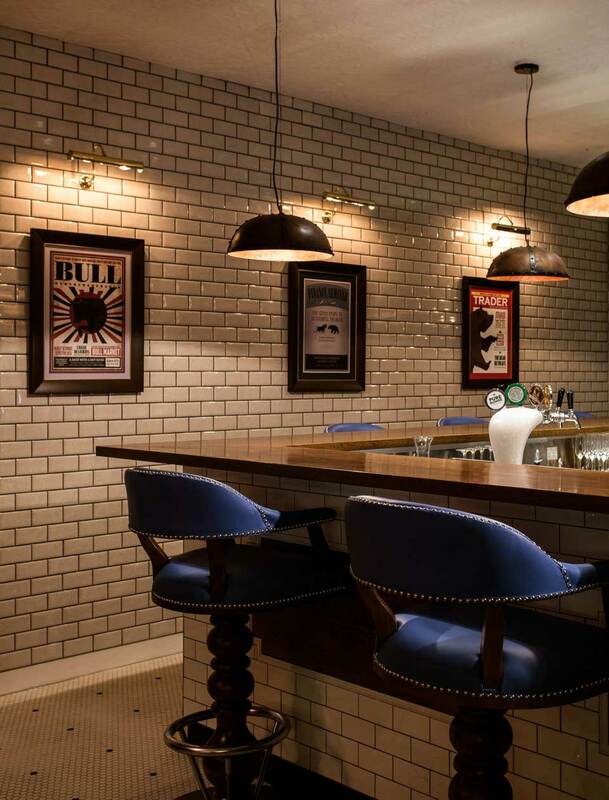 In 2013 Edge Design Studio was engaged to create a new bar and restaurant called Bull & Bear at Aurora Place in Sydney’s CBD. 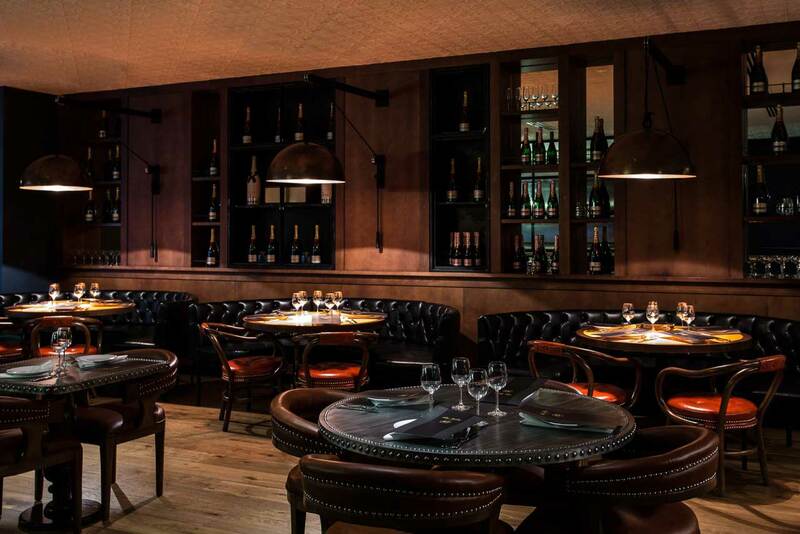 Spreading over two levels, the new interior is a contemporary take on a gentleman’s club with deep leather chesterfield banquettes, dark timber panelling, aged steel windows with ribbed glass, brass detailing and a mix of timber floor boards and mosaic floor tiles. The aim was to appeal to bankers, traders and financiers in the surrounding area, which lent its self to an inherently masculine, sturdy design. 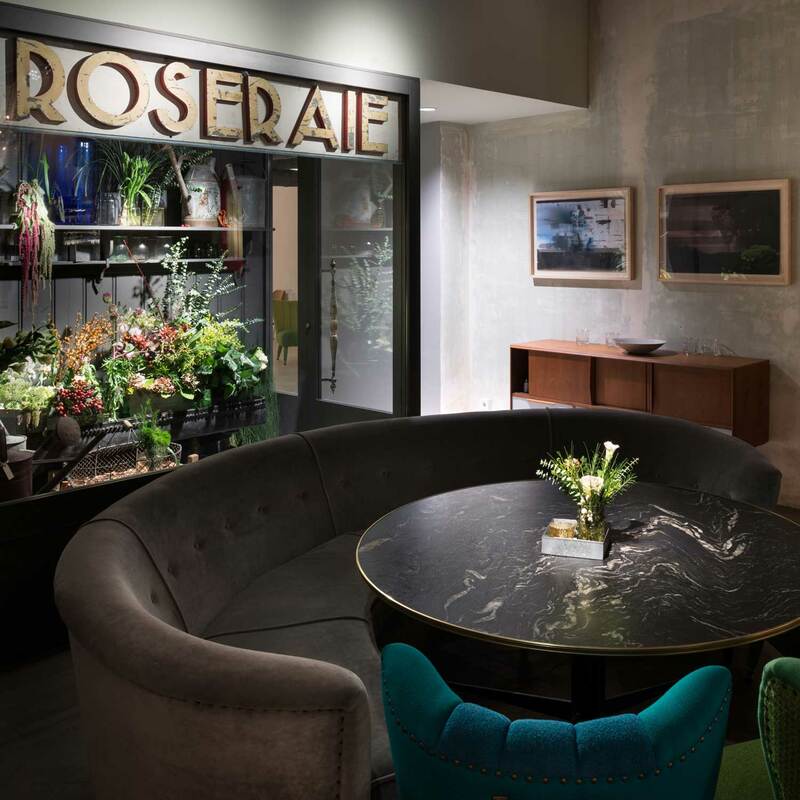 Every piece of furniture and lighting was bespoke including upholstered leather arm chairs and bar stools with metal studs, tiled marble table tops, zinc dining tables, huge cantilevered copper-spun wall lights and leather shade pendants. “Where Architects Live” Exhibition at Salone del Mobile // Milan 2014.